Coordinate, optimize, and progressively integrate European activities for surface observations over the sea in support of Numerical Weather Prediction and climate. "Surface marine observations globally account for 3.5% of the total error reduction on Day 1 forecasts achieved by all types of observation ingested in real-time by NWP models*." – Maintain an operational network of drifting buoys measuring air pressure and sea surface temperature in the North Atlantic, Tropical Atlantic, and Arctic, with data made available in real time onto the Global Telecommunication System of WMO, and reach a sustained network size of 150 operating units. – Support financially and technically the moored buoys operated by programme participants or national partners. – Support the activities of Voluntary Observing Ships (VOS) through technical developments, better coordination and harmonisation of practices, and compensation of participating members for the observations and the communications related to this component. The Coordinating Member for this optional programme is Météo-France and its Manager is Paul Poli. Météo-France delivers the programme in partnership with KNMI. An Expert Team is organized within the programme, bringing together international participants. Their roles include formulating recommendations, assigning priorities, tackling common issues, arbitrating between development options. *Estimates are based on ECMWF Operations observation feedback for all observations assimilated between May 2015 and June 2016, considering the first day of each month. The Operational Service was established during 2003 as an optional element of the EUMETNET Observation Programme (previously called EUCOS), on the basis of a detailed Operational Service proposal. Supported by 15 countries, it had been initially defined with a period of four years divided into two stages of two years each under the responsibility of Meteo France-France. During stage 1 (2003-2004), a comprehensive design study was carried out and given to the EUMETNET Council. This study was accepted by the EUMETNET Council in September 2004. Stage 2 (2005-2006) mainly consisted in the implementation of the designed network. In 2006, the Council renewed its confidence in Meteo France to manage the Operational Service during its next phase (2007-2011). Like other Operational Services, this phase was extended to one year (2012). In November 2012, the EUMETNET EIG Assembly decided to continue the E-SURFMAR Operational Service for 5 years from the 1st January 2013 to the 31st December 2017, under the responsibility of Meteo-France, and the programme was extended for another year, until 31st December 2018. In November 2018, the EUMETNET EIG Assembly decided that E-SURFMAR continues as an Optional Programme, to be delivered by Météo-France and KNMI. – an integrated fleet of AWS which served to develop the AWS technology and demonstrate its operational readiness. The initial E-SURFMAR design study was driven by the main EUCOS aim: to improve the quality of numerical and general forecasts over Europe. It showed that the most suitable parameter required by regional Numerical Weather Prediction (NWP) which cannot be provided by the space segment, is air pressure. The recommendation was to increase the density of observations for this parameter as a matter of priority. 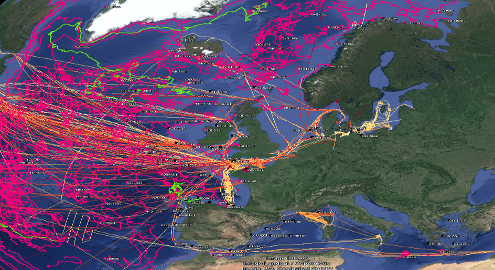 It also showed that this could be achieved through the use of more drifting buoys and Voluntary Observing Ships (VOS) reporting hourly data from sensitive areas: in the North Atlantic (north of 35°N) and in the Mediterranean Sea. Some parameters measured by satellites, such as Sea Surface Temperature (SST), wind and waves, require calibration and validation. However, reliable in situ SST data are already provided by drifting buoys. So, an increase of these platforms would naturally contribute to improve the quality of satellite data calibration for SST. 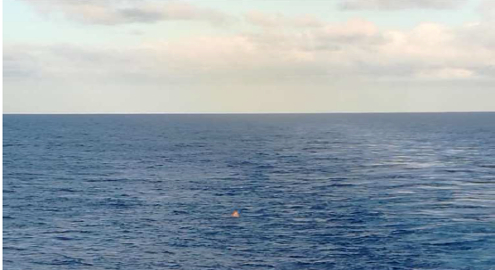 For wind and waves, the E-SURFMAR design study recommended the use of four existing moored buoys which would be upgraded to provide directional wave spectra and 10-minutes wind data, and possibly being re-located in more suitable positions. In 2017, the design was revisited, taking into account progress in satellite observation and numerical modeling capabilities, as well as more stringent requirements from the climate community, and a new sets of requirements were approved. The current programme, approved for 2019-2023 was designed to address these requirements. – the set up of quality control tools available on the Web to monitor all operational surface marine observation networks in the world. Since mid-2007, between 90 and 105 drifting buoys fully or partially funded by E-SURFMAR were permanently operating. This number significantly decreased in 2011 due to wrong batches of buoys delivered by the two usual manufacturers. The average number of operational buoys was below 75 buoys till mid-2012. Since, more than 100 E-SURFMAR drifting buoys are permanently operating in the EUMETNET area. In parallel, about 45 non-project buoys in average – from NOAA, Meteo-France, LOCEAN, Marlin -, are operating in the area. E-SURFMAR monitor their data as it does for those funded by the Operational Service. The number of drifting buoys equipped with barometers is now increasing thanks to barometer upgrades in cooperation with NOAA, and the network size is expected to reach 150 units by 2020. E-SURFMAR takes part in the European Union (EU) Horizon 2020 (H2020) research and innovation programme under grant agreement no. 633211 within the project AtlantOS. AtlantOS aims to improve and innovate the Atlantic observing by using the Framework of Ocean Observing to obtain an international, more sustainable, more efficient, more integrated, and fit-for-purpose system. AltantOS is a large-scale EU Horizon 2020 research and innovation project that contributes to the Trans-Atlantic Research Alliance and GEO. The participation of E-SURFMAR in this project is to lead the surface drifter network component. Three axes of enhancement are being explored: enhance the geographical coverage, enrich the variety of variables measured at low cost by drifters, and study whether vertical sampling of the upper ocean layer by drifters would assist in understanding and predictability. In addition, E-SURFMAR is working within this project to improve the general data access and data integration, for all categories of users of surface drifter data. Started on 1 April 2015, the project ends in March 2019. 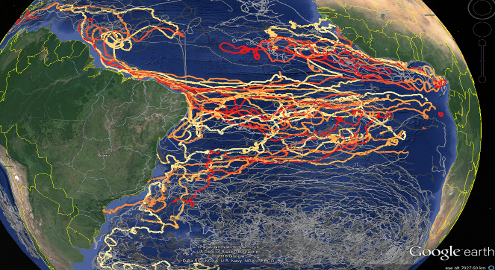 The EU funding in AtlantOS enabled annual deployment of 13 drifters measuring currents, sea-surface temperature, and atmospheric surface pressure in the Tropical Atlantic. In addition, a prototype drifter to measure sea-surface salinity at an affordable cost was developed by partners. The work carried out also enabled to identify a patch in the data management of delayed-mode drifter data. An architecture for a surface drifter Global Data Assembly Centre (GDAC) was developed as a result. The operations of four moored buoys have been compensated by the Operational Service since 2007: K-pattern buoys K5, M6 and Lion and SeaWatch buoy Cabo Sillero. The first three are operated by Met Office, Met Eireann – in association with MRI – and Meteo France, respectively. The last one is operated by Puertos del Estado. These buoys were chosen for their theoretical ability to perform accurate wind and wave measurements (spectra). During a long time, Cabo Silleiro was the only buoy to provide directional wave spectra and Lion buoy was only providing omnidirectional spectra. Since mid-2008 and October 2013 respectively, K5 and Lion moored buoys have also been reporting directional wave spectra. M6 does not measure this parameter yet. 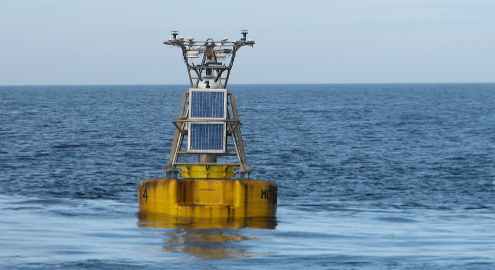 In general, the current quality of moored buoy data is among the best we can get from surface marine stations. For instance, the RMS of air pressure differences with model outputs was 0.7 hPa in 2013 for the 4 moored buoys (against 0.6 hPa for drifting buoys, 0.7 hPa for S-AWS and 1.3 hPa for conventional VOS). For wind data, the RMS of differences with model outputs was 2.6 m/s in 2013 (against 3.9 m/s for S-AWS and 4.5 m/s for conventional VOS). These four buoys are part of national networks which are also monitored by the Operational Service. The aim is here to get, in real time, as many quality observations as possible. Besides moored buoy networks operated by E-SURFMAR participating members or historical partners (Puertos del Estado and MRI), other networks exists. The Operational Service seeks for cooperation with the institutes which operate these networks and their closest NMS in order to have their data fed into the GTS in real time. Thus, the Greek Poseidon network, the Portuguese moored buoy network, and moored buoys operated by BSH (Germany), have been fed into the GTS and carefully monitored. 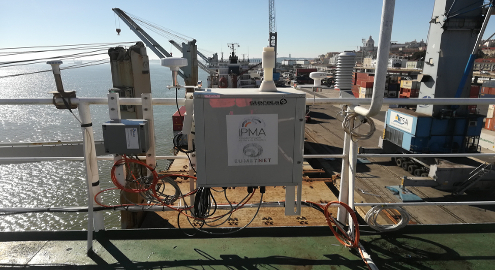 The close cooperation between E-SURFMAR and these institutes also allowed to improve the measurements carried out by these buoys which now are close to reach WMO standards. In 2013, each month about 370 European conventional VOS reported 270 observations per day in average from the EUMETNET area of interest. This is 20% less observations than in 2002 (for 30% less ships), before E-SURFMAR started, and this number has since decreased to under 200. However, during the same period, each month about 125 European S-AWS reported 1,700 observations per day from the EUMETNET area. This is 5 times more than in 2002. As of end 2018, there are over 150 European S-AWS units in operation, reporting on average over 2,000 observations per day in the EUMETNET area. For different reasons, the data delivery delay of conventional VOS data remains longer than for S-AWS. Early in the Operational Service, it was noted that the quality of pressure values reported by conventional VOS was below that of automated systems. The most common errors are due to a wrong correction of the height of the barometer above the waterline. Despite the set up of daily updated blacklist, the situation did not change much during the past years. The S-AWS integrated fleet of VOS was an opportunity to try out various technologies. By the end of 2013, 10 BaTos and 18 BaRos AWS funded by the Operational Service were in operation (E-SURFMAR S-AWS fleet). The BaRos is normally a simple (autonomous) system reporting air pressure only (see picture here below). Moreover, three systems out of the 18 have been upgraded in BaRos+ AWS by Meteo France (air temperature, air humidity and wind measurements added). In 2013, several installations were done thanks to MOON members on ships plying in the Mediterranean Sea. This fleet served to demonstrate that the maintenance of a S-AWS network is not an easy job. Ships are often changing their programmes and may be sold or de-constructed without any lead time. The procurement and development of a common solution S-AWS (EUCAWS) was started in 2013. After several prototypes, first series were ordered by several programme participants. As of 2019, over 30 operational EUCAWS units are reported data on the GTS, from ships recruited by several NMSes. The development of an electronic logbook solution by KNMI was recognized as important early on, to improve data quality and quantity from conventional VOS. This has resulted in the development of several software packages: Turbowin, Turbowin+, Turboweb. This development benefits from a new wind effective in 2019, with KNMI on the delivery side of the programme for the items that pertain the conventional VOS. An online database was developed within the first years of the Operational Service to manage VOS metadata (WMO Pub47 format). It contains all VOS metadata available in the world (permanently updated), and is now operated by JCOMMOPS. With the announced transition to WIGOS, the programme participants have developped a new metadata standard, in collaboration with international partners, widening the scope to all ship-based observations (and not only VOS). A set of quality control tools was developed by Meteo France to monitor E-SURFMAR observation networks. 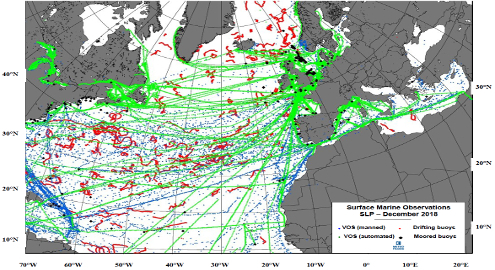 Mainly based on comparisons with model outputs, they may be actually used to monitor any surface marine observation platform in the world reporting onto the GTS. Every month, the performances of the networks in matter of data availability, timeliness and quality, are assessed and compared to previous months and targets.